High Performance Pontoon Boat Rentals in Destin, Florida allow you to make everyone in your group happy. You could cruise to a distant location in record time. Once you arrive, you can slow down to relax and enjoy the sun. The High Performance Pontoon Boat Rentals in Destin, Florida offers both a larger size and powerful engine to provide full functionality. Most have partial sun canopies. 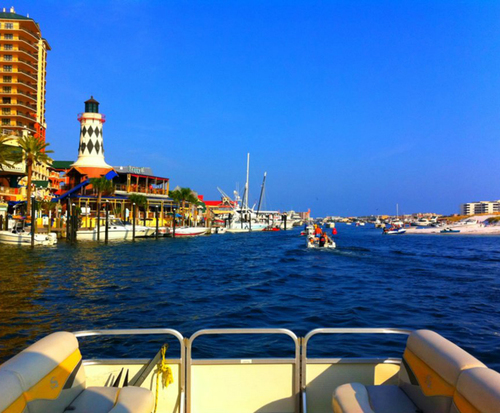 Destin, Florida was awarded the 2011 "Boating Magazine Award" for "One of the 10 Best Places to Live and Boat." 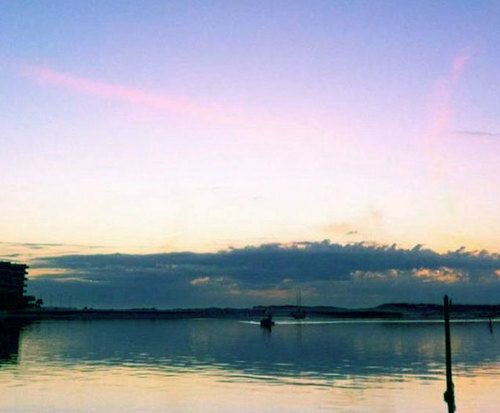 The location is ideal for combining calm and rough water conditions, because Destin is a little section of land just down the road from Fort Walton Beach. Destin is east of Okaloosa Island and west of Miramar Beach. Check out the Big Kahuna's for lunch. Crab island is a popular destination for boaters. 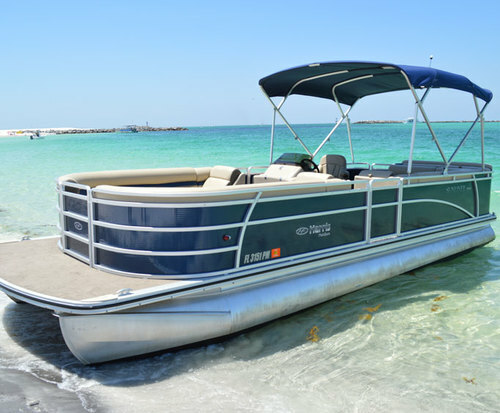 You can choose from a variety of High Performance Pontoon Boat Rentals in Destin, Florida. 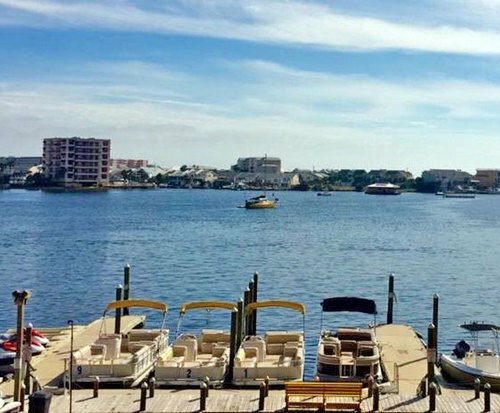 Here are two popular options: Destin Vacation Boat Rentals at 612 Harbor Boulevard or True Blue Pontoon Boat Rentals at 101 Calhoun Avenue. Destin Vacation Boat Rentals offer a variety of high-powered pontoon boat rentals with delivery, if needed. True Blue Pontoon Boat Rentals has longer rental periods and four-speaker Bluetooth stereos on every high performance pontoon boat. So, if you want to impress your boss or family members then check out High Performance Pontoon Boat Rentals in Destin, Florida. You can optimize your time with high performance boats. Have fun with your family, team or organization in the city made for boating: Destin, Florida.